Are you craving Swedish Pizza under the Los Angeles sun or maybe you’ve never tried it before but really want to? Well, that can be solved right away (if you’re in LA). Just head over to Red’s Pizza on Pico Blvd in Santa Monica. You will find the typical food served in Swedish Pizzerias, such as their ‘’Madison Pizza’’ which is their kebab pizza, their ‘’Garland Pizza’’ which is a beef with béarnaise sauce pizza and also their ‘’Madison Sandwich’’ which in Sweden would be the so called ‘kebabrulle’. They also have hamburgers, salads and pasta, so the offer range is wide and there is definitely something to eat for everyone. When I got the news that a Swedish Pizzeria had opened in Los Angeles, I couldn’t wait to try it out. I’ve been there twice now and I have tried both the pizza with béarnaise sauce on and the Madison Sandwich. Their crust is just perfectly thin, crispy and topped with all delicious ingredients on it makes it all so tasteful that you want to eat it everyday. The Madison Sandwich is one of my favorites actually and I really loved the bread wrapped around it with the kebab meat inside together with fresh vegetables and kebab sauce. Just to get that extra taste experience, I would have liked to have a bit more richness in the flavors, and also the typical pizza salad that is usually served with pizzas back home. I like that the prices are relatively inexpensive. 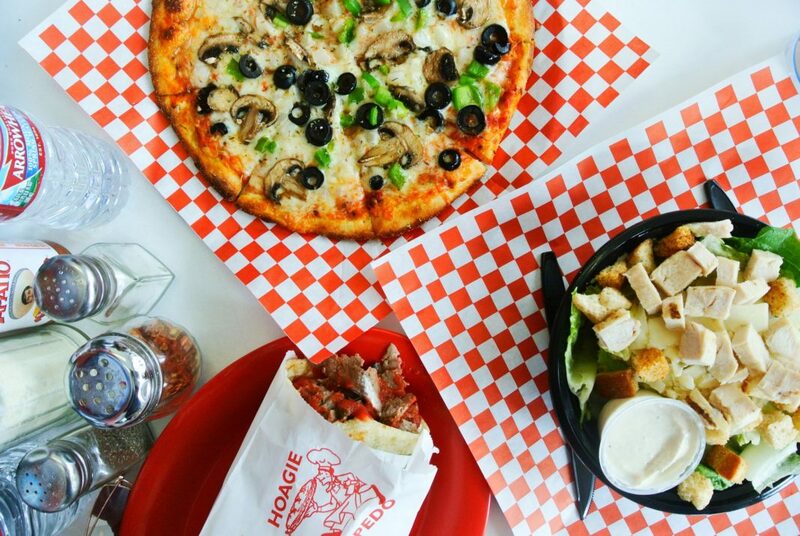 They vary from $6 – $15 depending on the size of the pizza and what food you are ordering. They also have gluten free choices to offer, which is really great. This place has a simple and clean interior with red details, which looks great and it gives just the right feel of a typical Swedish pizzeria. The best part about this place is that you get the real feeling of being back home in Sweden, with their great food options, simple interior and some of the staff being Swedish. It isn’t the most fanciest pizzeria but that’s what makes it charming in a way, since many of the pizzerias back home is just simple and casual and they have really captured that. So don’t wait out on that Swedish pizza experience, call a friend go visit Red’s in Santa Monica right away.